Flask is awesome. It’s the easiest way to learn web development. Start small, and then you can quickly add any upgrades you need — email, databases, forms, etc. 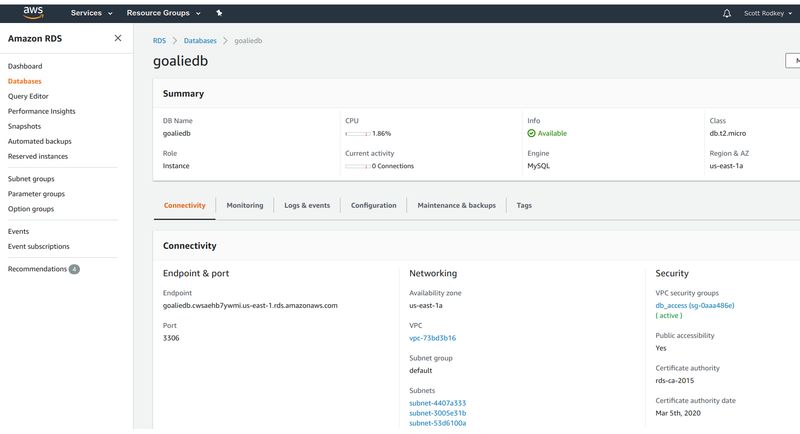 Amazon Web Services is fantastic. There are a ton of cloud platforms out there, but none are more flexible than AWS. It seems like you can do anything on Amazon — host websites, create scalable databases, send emails, text messages, stream live video from your home — the possibilities are endless. The two seem like a natural fit. 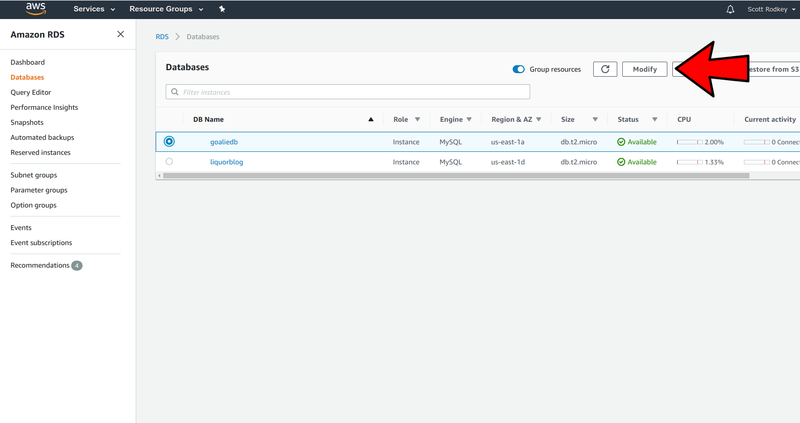 Create a killer Flask app, and push it to AWS. Easy, right? But there are a surprising lack of examples on the web. The official documentation is recommended, but lacks visuals which can help beginners. Don’t get me wrong, there are some good blog posts that help with common stumbling blocks. 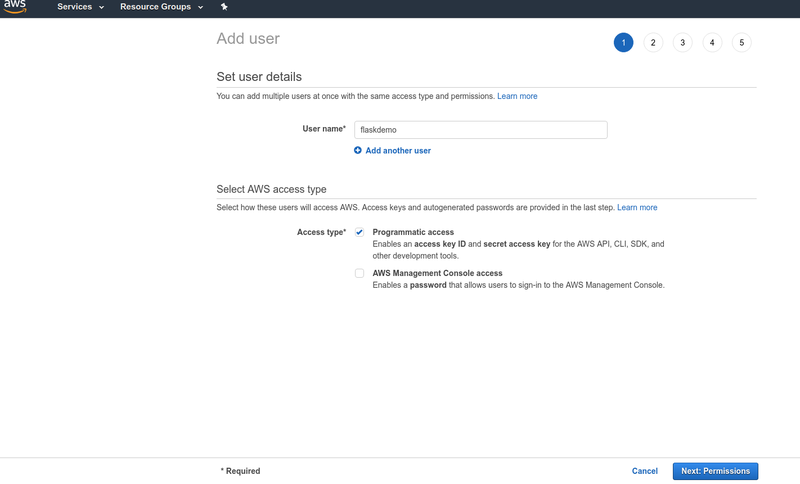 But I couldn’t find an end-to-end example for deploying a Flask application to AWS. 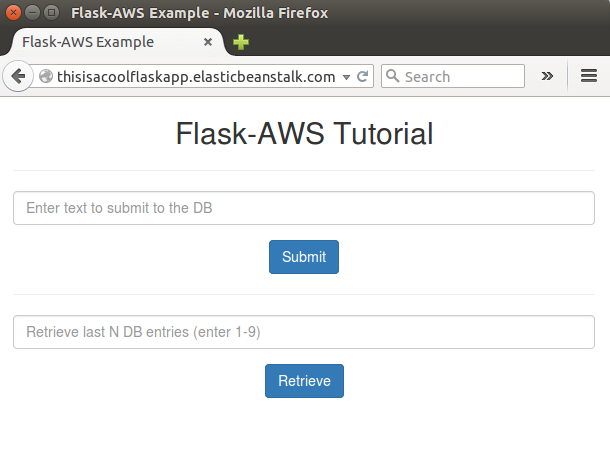 So here’s a step-by-step tutorial that will launch your Flask application to AWS Elastic Beanstalk. 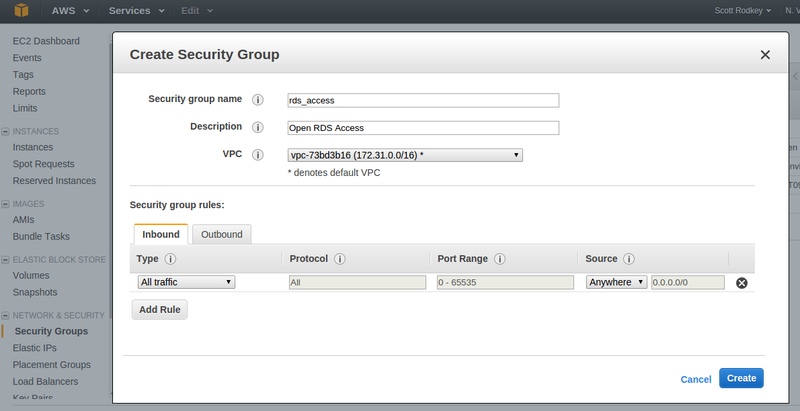 It also uses AWS RDS for a database backend. Note: AWS requires a credit card for registration. But our example will exist entirely on the AWS Free Tier, so you won’t be charged. We’re going to deploy a simple app that reads and writes from a database using Flask-SQLAchemy. Dig into the code if you’d like — it should run locally if you run python application.py (after you set you the environment in Step 4). In the directory where the example code exists, create a Python virtual environment. If you’ve followed the excellent Miguel Grinberg tutorial (buy his book, too), he creates a local database for his tutorial. 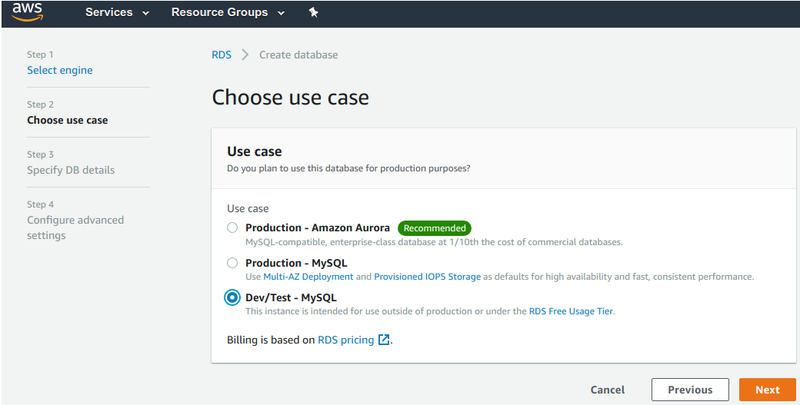 To make things more interesting, we’ll host our database on AWS using RDS. 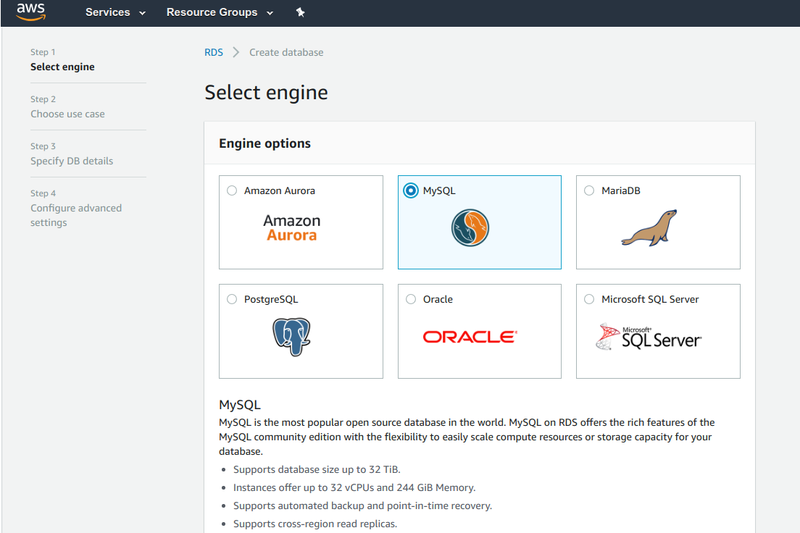 On the AWS console, go to Databases > RDS. 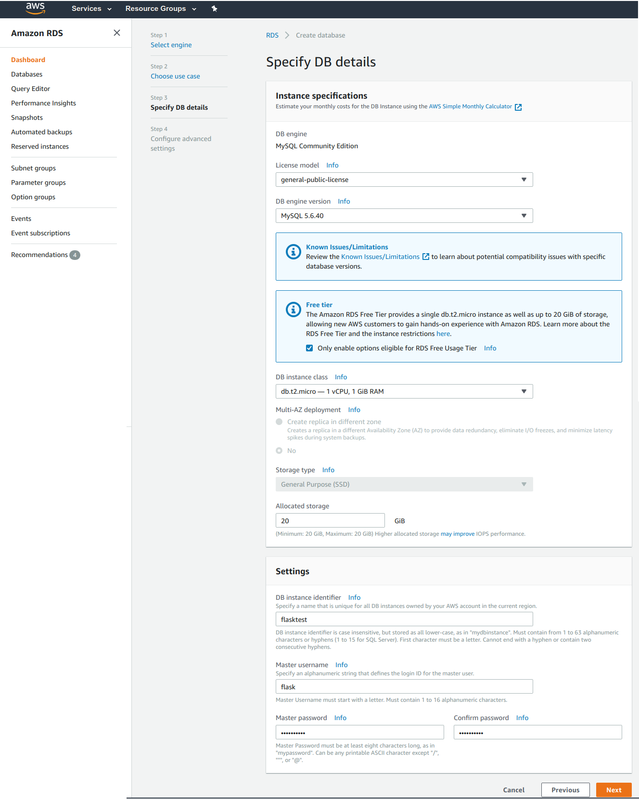 Select “Dev/Test” to avoid multi-AZ (availability zone) deployment — this will keep us in the Free Tier. Select “DB Instance Class” as db.t2.micro (keeps us in the Free Tier) and set up your DB instance name, user name, and password. Below is what I chose. Make sure to write down your password! 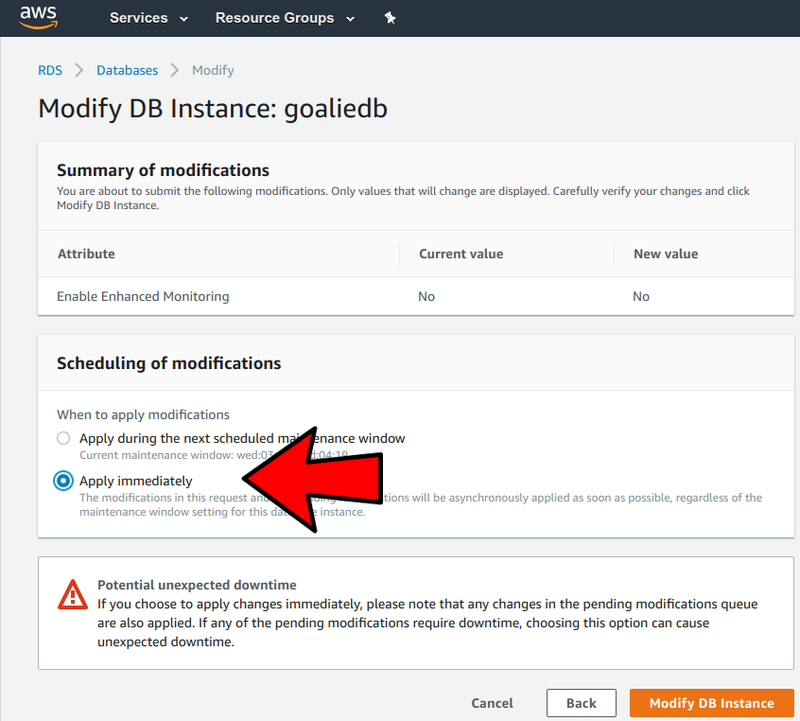 You’ll have to be a little patient — it took a few minutes for my DB instance to spin up and its status to become “Available.” Go grab a snack. For the longest time, this tripped me every time when attempting to spin up a new DB. 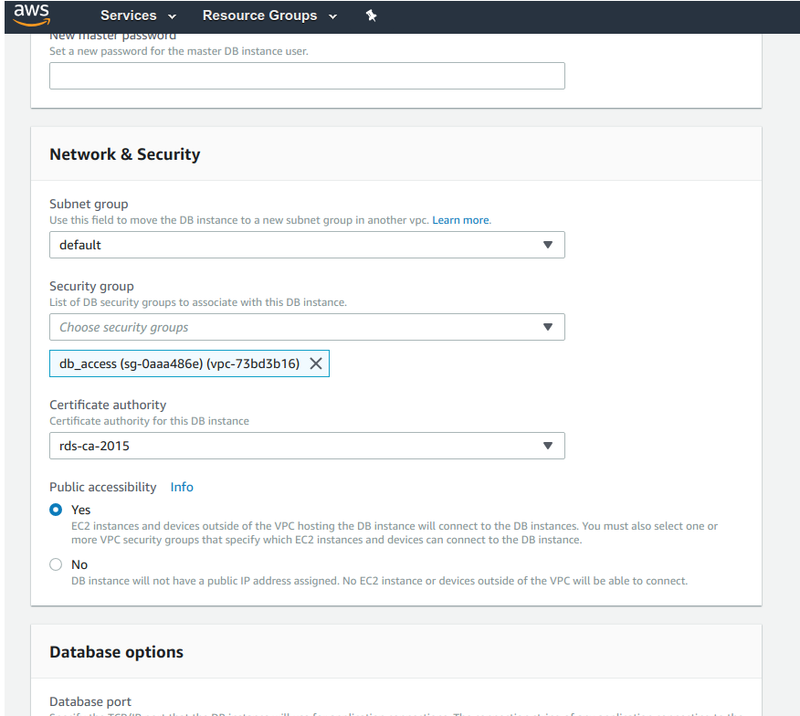 AWS locks down all new compute instances by default — any new database, EC2 instance, etc. — they’ll all be cut off from external access unless you specifically allow it. Good for security purposes, but a pain if you forget. Scroll down to “Network and Security” and change it to the security group we just created. Whew, now we’re done with setting up the DB. Now let’s populate it. Hey, we finally touch some Python code! Let’s edit the URI for the for the DB so your Flask code can access it. Once that finishes installing, we can initialize and deploy our Flask app. We could do this using our AWS root access. 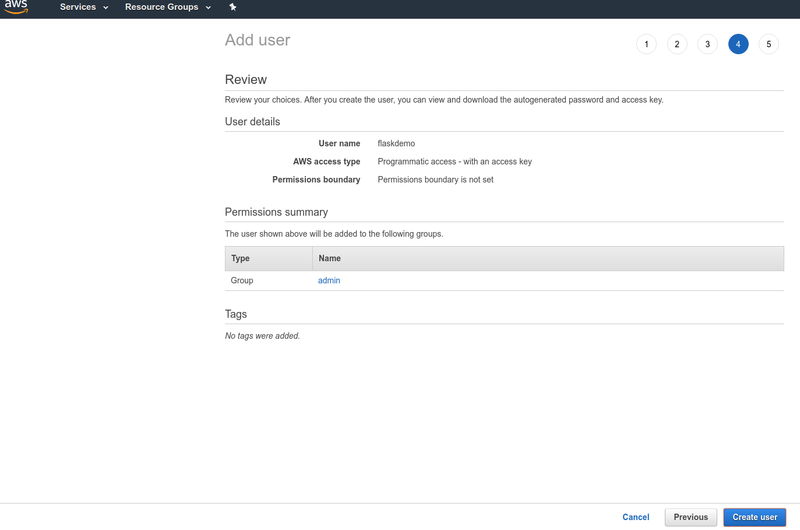 However, let’s follow AWS Best Practices and create a new user for this demo. This will keep our master ID and secret key (which you should have stored somewhere) safe. 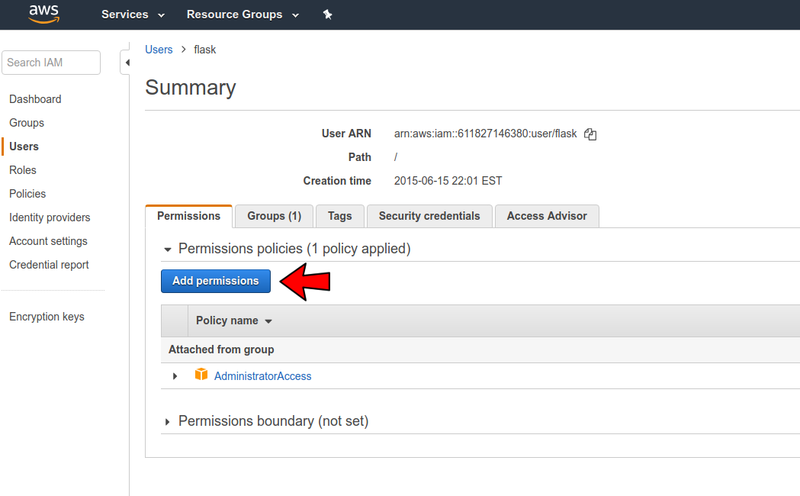 Select “programmatic access” click “Next” for permissions. Many of these policies are specialized for specific AWS services. 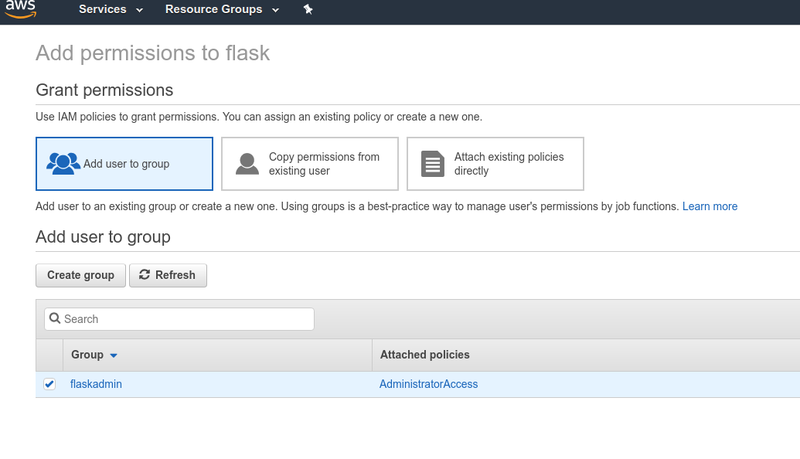 For simplicity choose the first one, “AdministratorAccess” and click “Create group”. Click “Next” and we’ve created an admin. 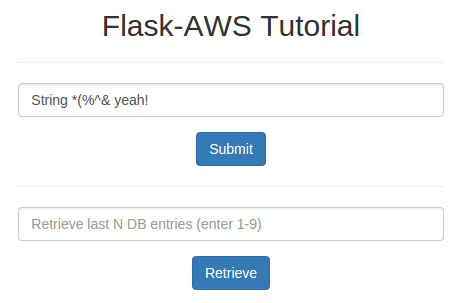 Application flask-aws-tutorial has been created. Select your Python version. I’m a fan of 2.7 and wrote this example using it, so users of 3+ may find some incompatibilities with this code. Okay, now we’re all set up. Time to deploy this bad boy. Creating application version archive “c1bf”. Uploading flask-aws-tutorial/c1bf.zip to S3. This may take a while. 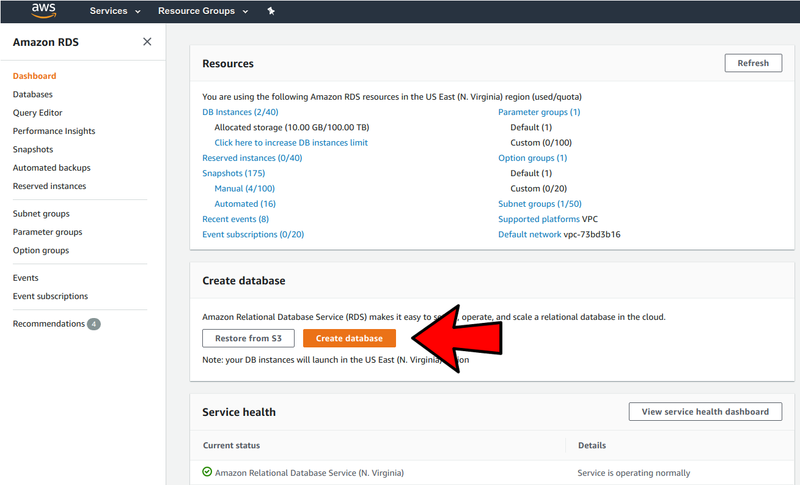 INFO: Using elasticbeanstalk-us-east-1–611827146380 as Amazon S3 storage bucket for environment data. INFO: Application available at thisisacoolflaskapp.elasticbeanstalk.com. Point your web browser to that URL and you’ll see your Flask app live! And that’s it. 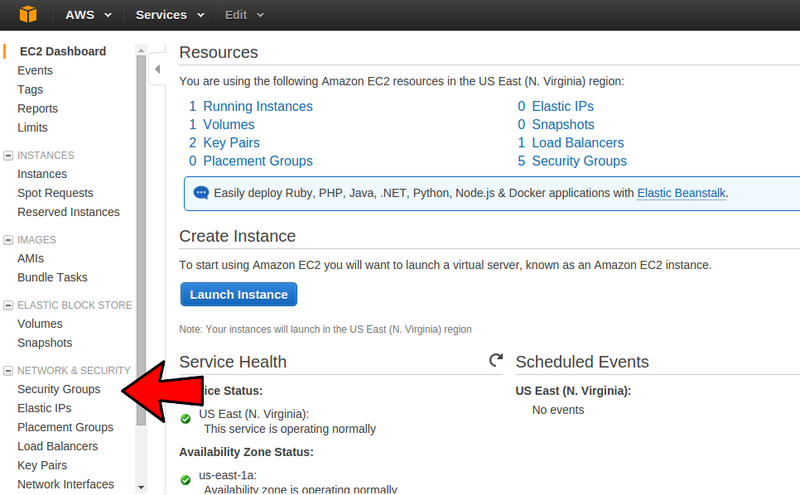 Hopefully this helps you get off and running with AWS. when your new changes are ready. 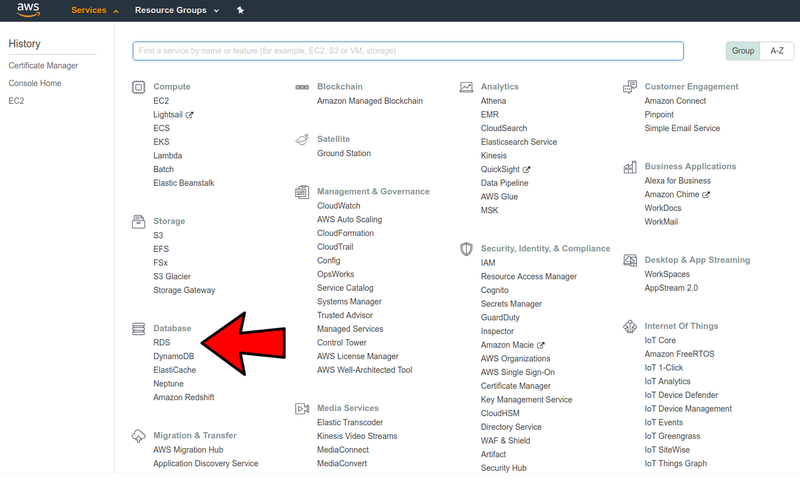 You can add images, email support, register your site with a .com (I recommend AWS Route 53 if you’re going to stay within AWS), and so much more. 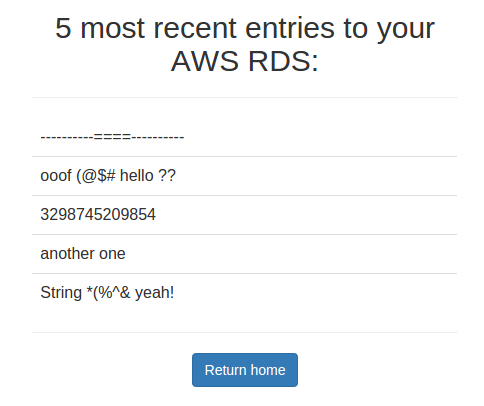 Congrats on your first AWS site, and good luck!